It's just after 8 p.m. on a recent Friday night outside the King Corona Cafe in Tampa's Ybor City. 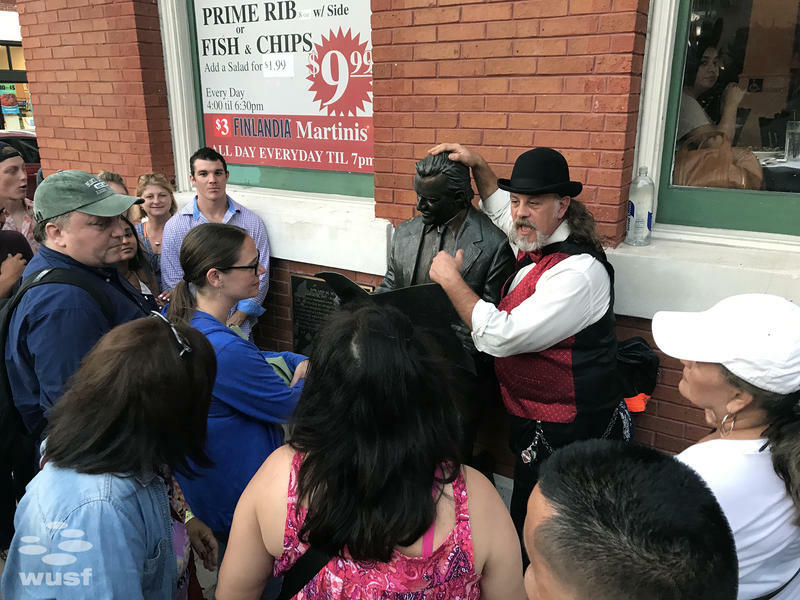 Throngs of people are filing into the many bars and clubs hosted alongside historic 7th Avenue, but some are here for a different kind of entertainment. 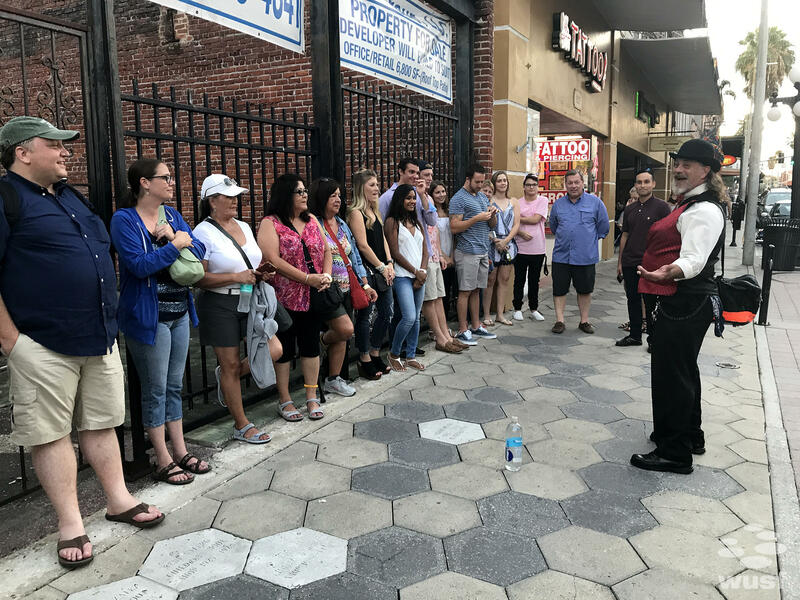 Greg Milton, wearing a bright red vest, matching bow tie and black bowler hat, is lining up about 20 people for tonight's Ybor City Ghost Tour. “Alright, ladies and gentlemen, if you did not get it before, my name is Greg. I'm your ghost host with the most. 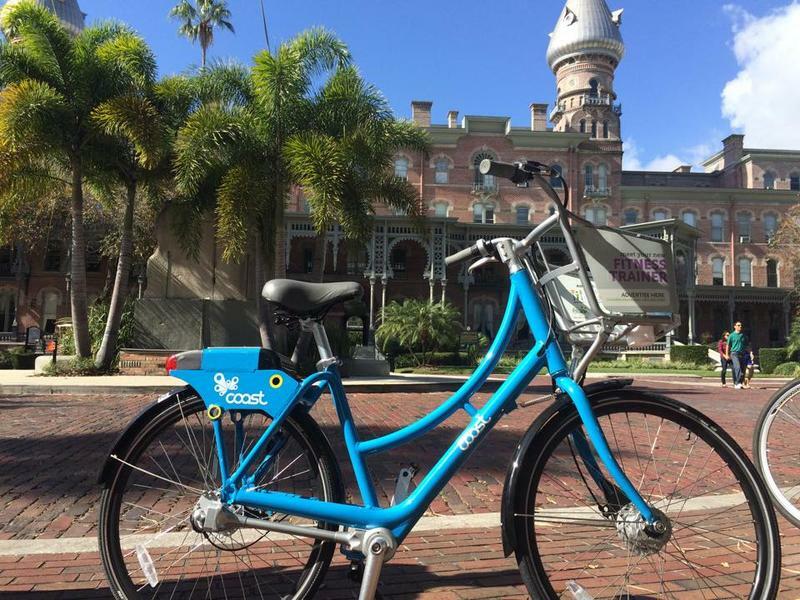 Welcome to Ybor City. How's everybody doing?" He walks up and down the crowded sidewalk, gesturing passionately with his hands. About half the people in the group timidly raise their hands. 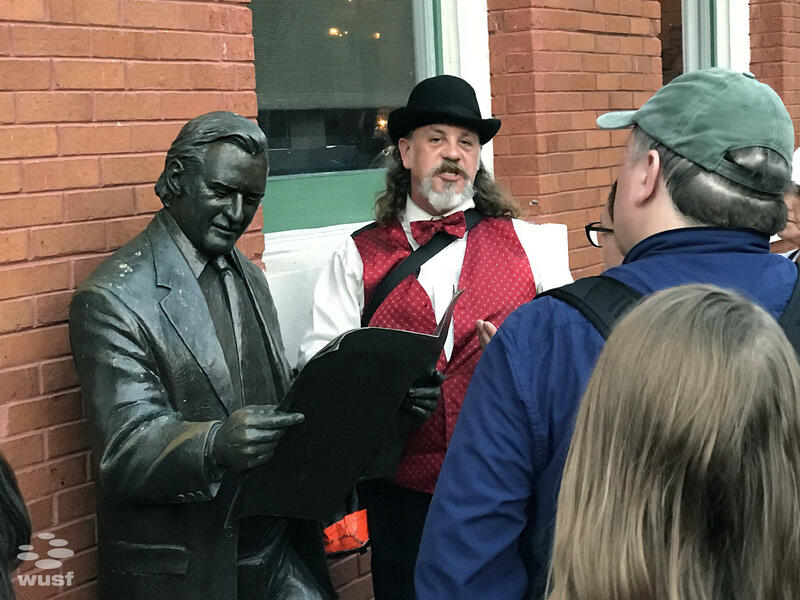 Then, the mixed group of believers and skeptics walk across the street to the first stop, and sandwich themselves between bronze statues of Roland Manteiga, reading the La Gaceta, and Ybor City founder Vicente Martinez-Ybor. This city in 1885 was nothing but a godforsaken hellhole of a swamp, ladies and gentleman,” Milton said. “That is a true story. There were 700 people here in 1885. The biggest population was snakes, mosquitos and alligators." After that, Milton takes the tour down back streets, past old cigar factories, weaving tales of bootleggers, speakeasies and a secret tunnel system underneath Ybor. Many of the stories are based in fact, some are exaggerated or unverifiable. He pulls out a plastic, handheld device with several blinking lights. It's an electromagnetic field meter, which is used to diagnose problems with electrical wiring and power lines and to get readings on appliances. Ghost hunters claim they also light up and emit a noise in the presence of ghosts. It lets out a few high-pitched beeps. 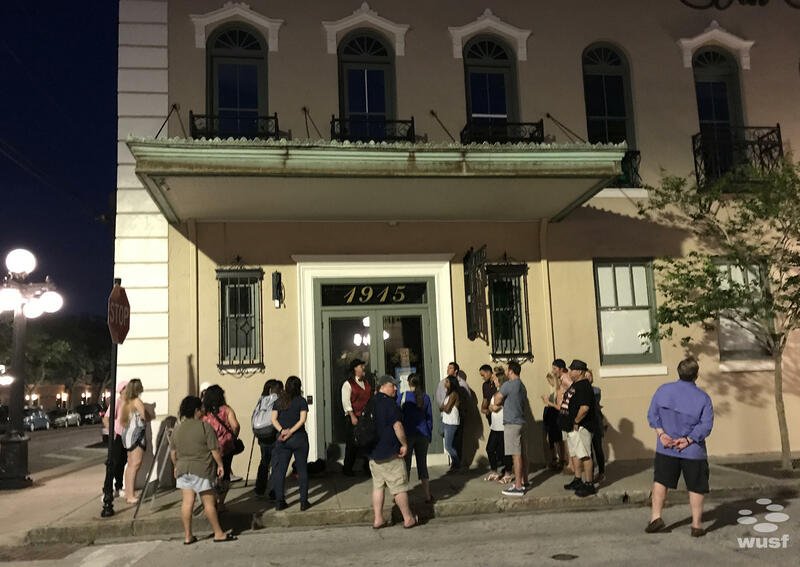 Eventually, the group ends up in front of the Cuban Club, rebuilt in 1918 after a fire. 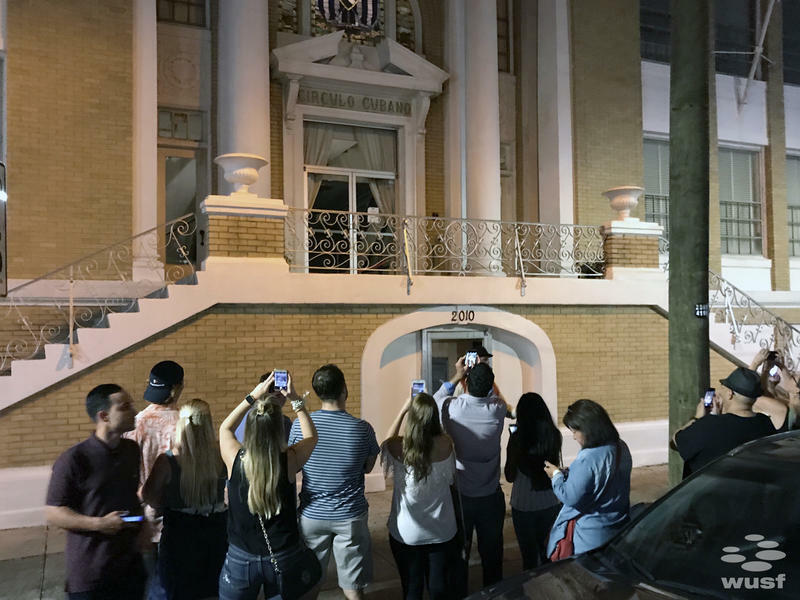 The building has been dubbed “One of the Top 10 Most Haunted Places in the U.S.” by the Travel Channel and in 2009, the SciFi Channel's Ghosthunter's team investigated there. There are two known deaths that took place on the property dating as far back as the 1920s. An actor committed suicide on stage and a board member was murdered after an argument with a fellow board member. Their ghosts, and the ghosts of a woman in white and 8-year-old boy, have been repeatedly spotted by visitors. Milton, a professional actor, adamantly believes in ghosts. But he knows that not everyone here tonight does. "There's some people that are like an episode of Ghosthunters. ‘Gasp! Oh my God, did you hear that? Gasp! Oh my God, did you see that?’ I get that and then I get the other one at the other end who is so stoic, so skeptical, and it's hard for them to accept anything." Katie Curtis, a high school history teachers, falls somewhere in the middle. "I think Greg is an amazing storyteller,” Curtis said. “I think he weaves in the history and the stories so that you're compelled to believe that something might be there." The next hour is spent in the darkened theater. Tour participants investigate the rooms behind the stage, and take photos on their phone cameras. Each person holds a flashlight or a meter. As they explore the room, whispering amongst themselves, Milton tells them to pay special attention to the seating area. "Folks, I'm not kidding you,” Milton said. “There's been no shortage of people captured on film sitting in the seats but they're not actually there." 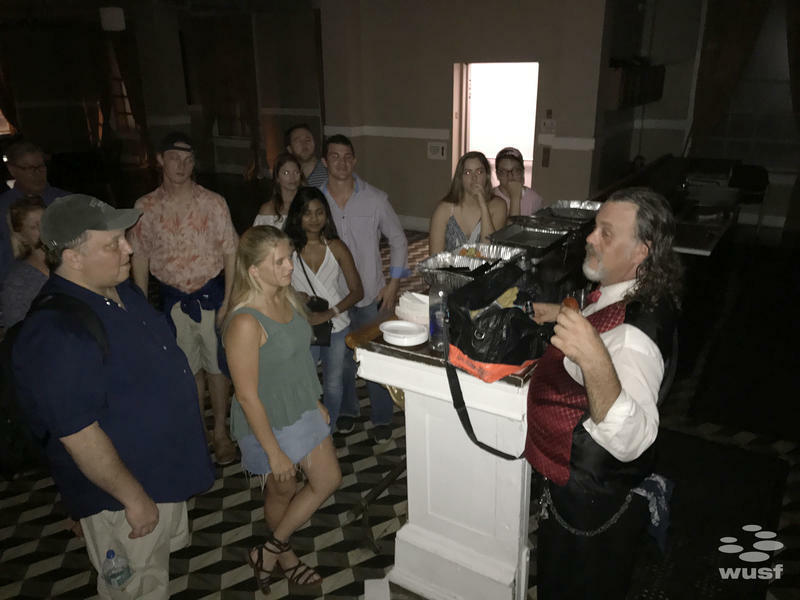 No one sees a ghost on this tour, but by the end of the night, they're all scrolling through their camera rolls pointing out blurred faces, shadowy figures and white shining "orbs" they think could be evidence for life after death. 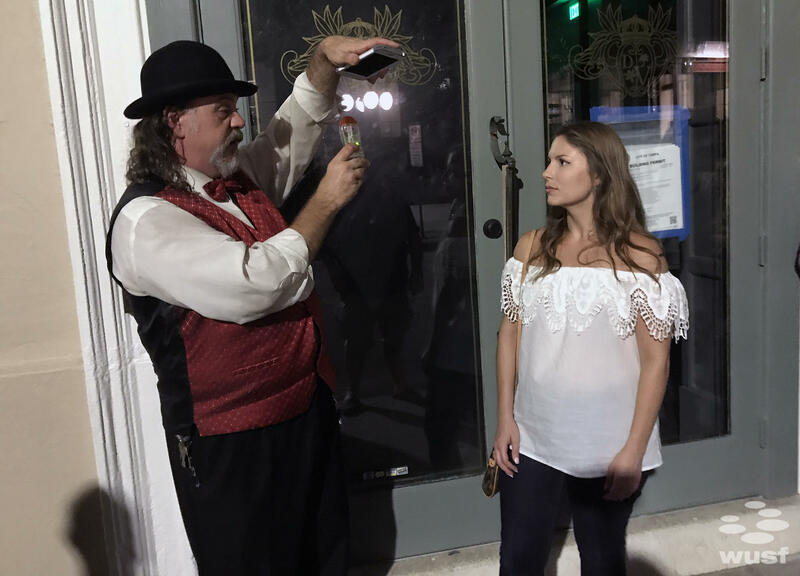 And the official Ybor City ghost tour re-posts them in photo galleries on their Facebook page for everyone else to determine for themselves. 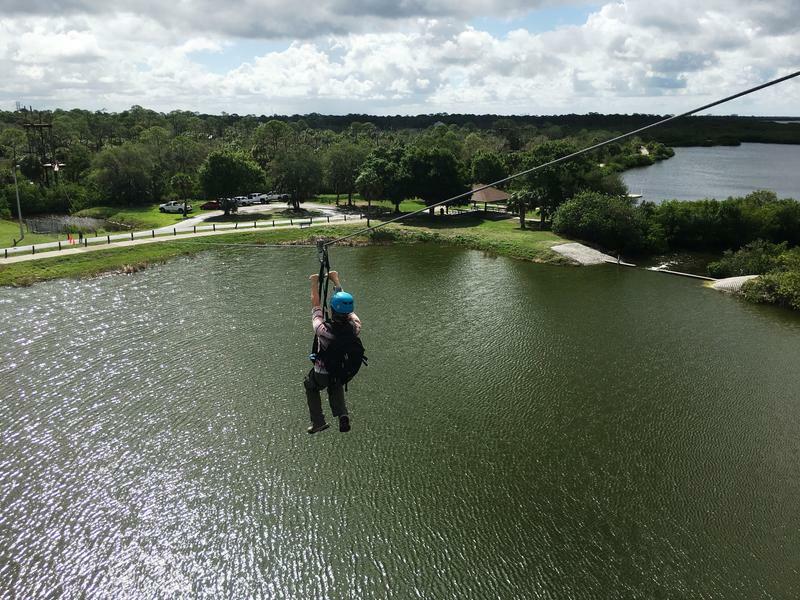 This week on Florida Matters we’re exploring some ways to beat the summer doldrums and enjoy a “staycation” in the Tampa Bay Area. 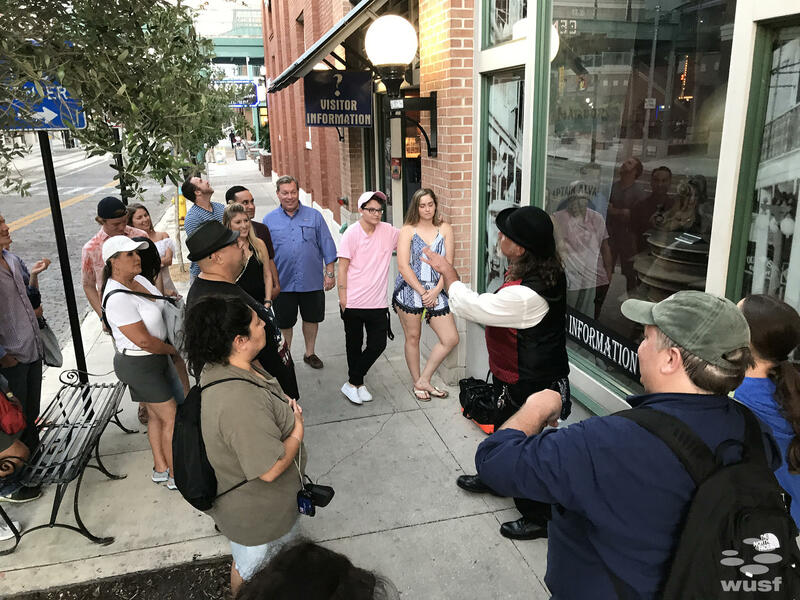 A Tampa couple is using a novel method to show Tampa residents and tourists the history of the city. Eric and Katie Turner began History Bike Tampa in 2013 as a way to educate residents about lesser-known historical events and people. 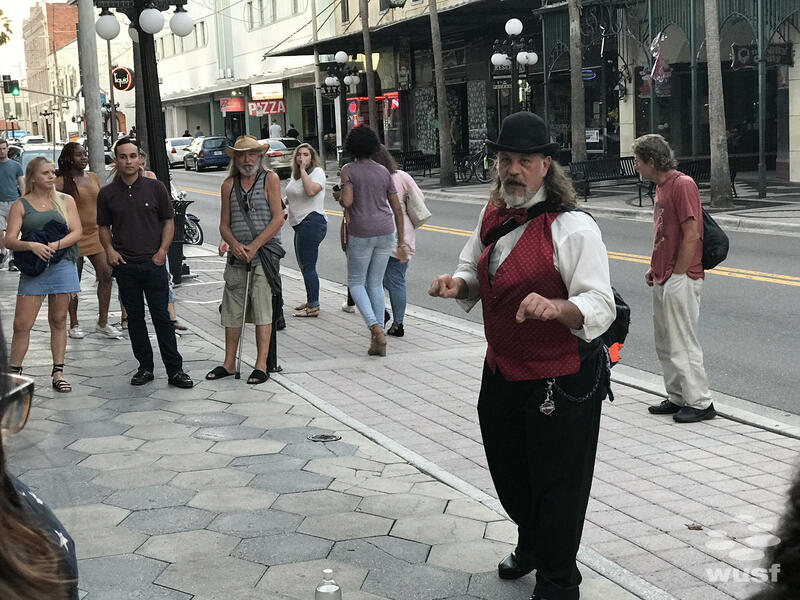 Every two months, they take groups of up to 100 riders and zigzag along backstreets and alleyways to historically significant locations in Tampa. 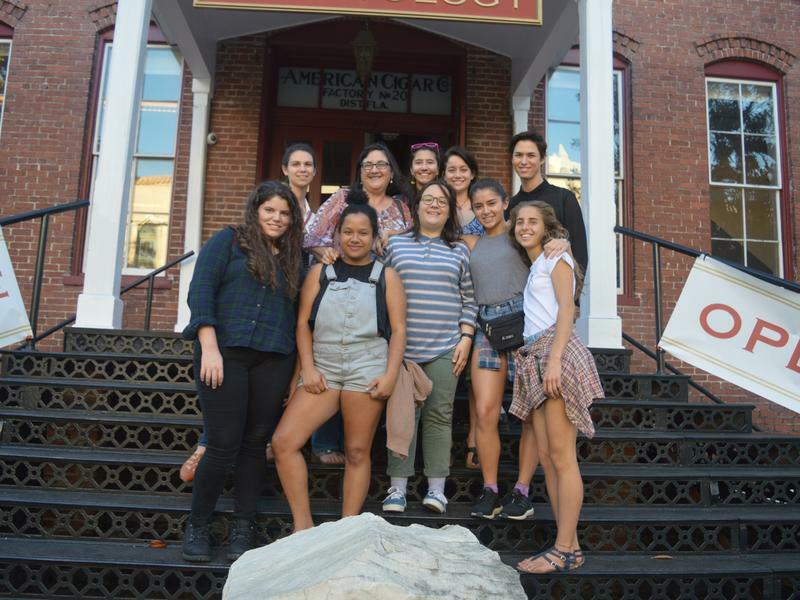 This Saturday, New College is wrapping up a yearlong series of events around the relationship between Cuba and the U.S.
New College professor Sonia Labrador-Rodriguez organized the Cubano-American Community Project, which looks at the deep roots Cuban-Americans have in this part of Florida.